Paul Weller performed his new track, ‘Long Time’, on Later With Jools Holland and took along a copy of his new book, INTO TOMORROW. The book can be seen from 15 minutes into the show (pictured left). The two discussed the process of looking back at Paul’s solo career – an unusual move for the ‘Changingman’ who is renowned for looking forward and pushing musical boundaries. To see more of INTO TOMORROW and order your copy today, click here. 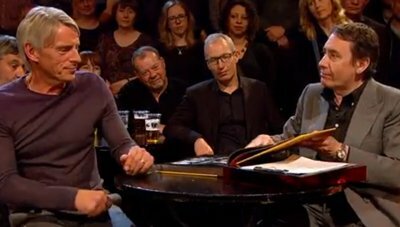 You can watch the full episode of Later With Jools Holland on BBC iPlayer.